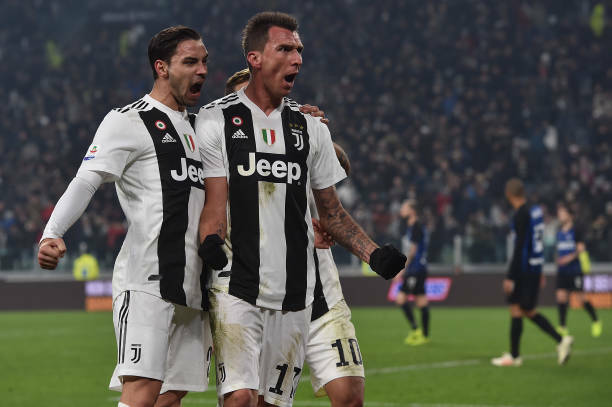 Mario Mandzukic in the 66th minute led Juventus to a 1-0 win over Inter Milan Friday in the first installment of the Derby d’Italia in Turin. The win kept The Juventus unbeaten record in Serie A intact, while Inter Milan failed to gain any ground on Napoli in second. In fact, Napoli could pull farther ahead of Inter as they host Frosinone Saturday. Regardless of how AC Milan does this weekend against Torino, Inter will remain in third-place heading into next weekend. Inter controlled and had its best chances in the early stages of the first half, especially with Gagliardini’s efforts off a ball from Icardi inside the area. 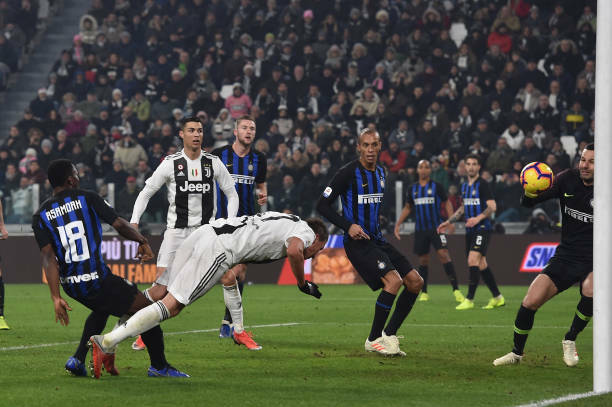 But, after that, Juventus turned up the heat as Mandzukic nearly put the Bianconeri on the board with a header that was pushed away by Samir Handanovic in the 35th minute. In the second half, Icardi and Matteo Politano nearly connected after Blaise Matuidi gave away the ball in the Juventus penalty area, however Politano was unable to connect. It was about eight minutes after Spalletti took Politano off in favor of Borja Valero that Mandzukic found the back of the net off a cross from former Inter player Joao Cancelo. In the 74th minute, Ivan Perisic made his presence felt with a blast on a free kick, but it was deflected out for a corner. Lautaro Martinez and Keita Balde the other two second-half substitutions for Inter nearly combined to equalize in the 80th minute, but Keita’s shot was blocked away by Giorgio Chiellini. Martinez had one last shot in extra time after Cancelo failed to clear out danger, but the Argentinian’s delivery went wide of the net. Now, the Nerazzurri(inter milan) have a quick turnaround as they prepare to host PSV Eindhoven in the final Group B match of the Champions League Tuesday. It is a must-win for Inter as they are locked in a battle with Tottenham Hotspur for the second and final spot out of the group into the knockout round. Inter also have to hope Barcelona defeat Tottenham at Camp Nou to advance.